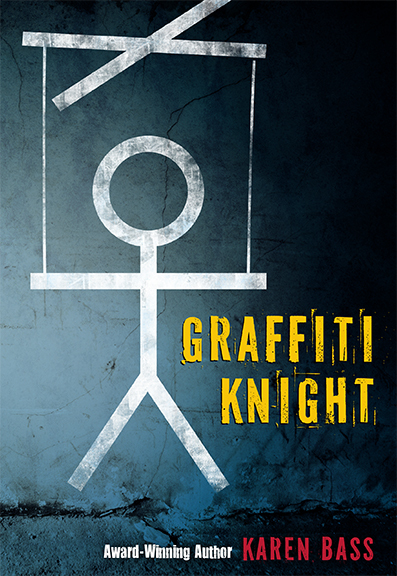 GRAFFITI KNIGHT by Karen Bass arrives in Canadian stores! Speaking out in East Germany is forbidden, but sixteen-year-old Wilm has found his voice. At night he wages a graffiti campaign against the police, who answer to the Soviet Army that controls the country. “Marionetten,” he writes—puppets. And Wilm’s war of embarrassment feels good. It feels powerful. If only Wilm can keep that power he won’t ever end up weak like his father. And he won’t ever stand by and let Soviets—or anyone—hurt his sister again.